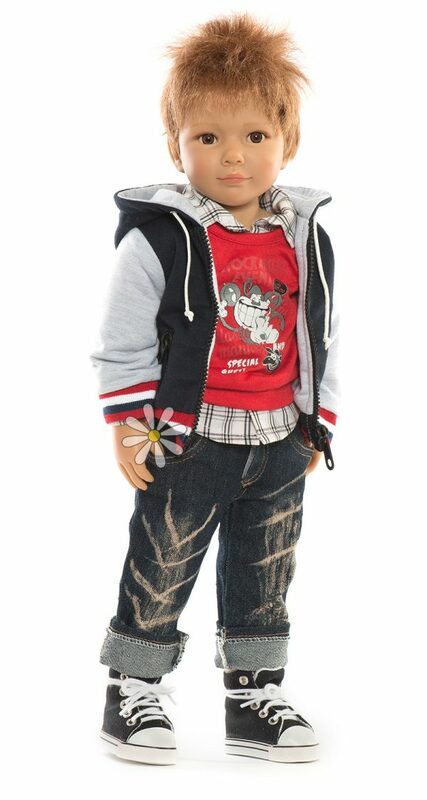 Kidz ‘n’ Cats dolls 2015 start to arrive! The week that the new Kidz ‘n’ Cats dolls arrive is always eagerly awaited, not just by me but by all our customers and collectors, and this year there is even more excitement than usual because of the introduction of a beautiful new face sculpt by Sonja Hartmann and also the new mini dolls will hit Petalina’s shop shelves for the first time. Now that the first delivery has arrived safe and sound, we have had a chance to give all the dolls an eager once over, and let me tell you there have been many ‘Oohs’ and ‘Aahs’! 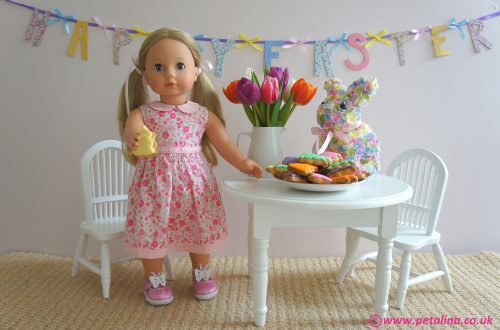 The mini dolls got a ‘WOW’ from me because they were such a wonderful surprise. You can’t really tell from the photograph what they are going to be like in the flesh. 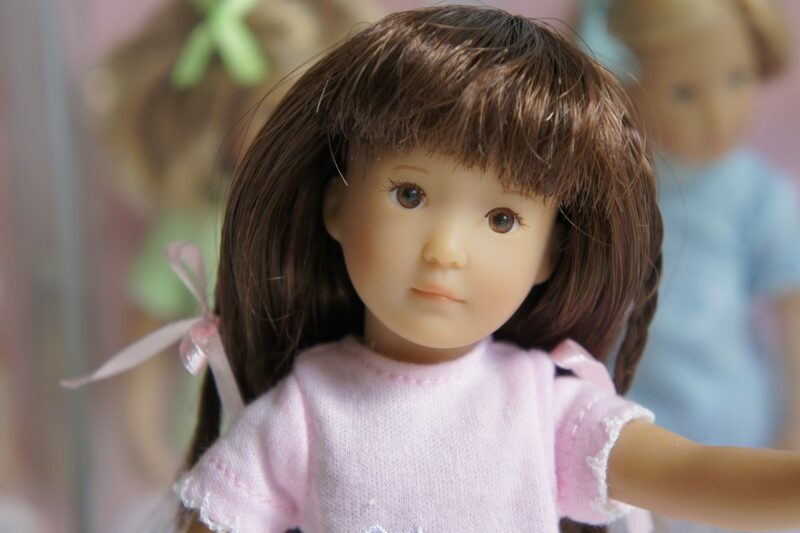 Yes, we knew they were going to be small and that they had tiny wigs and tiny inset eyes, but we weren’t expecting the lovely solid feel of the dolls and how easily they could be posed. 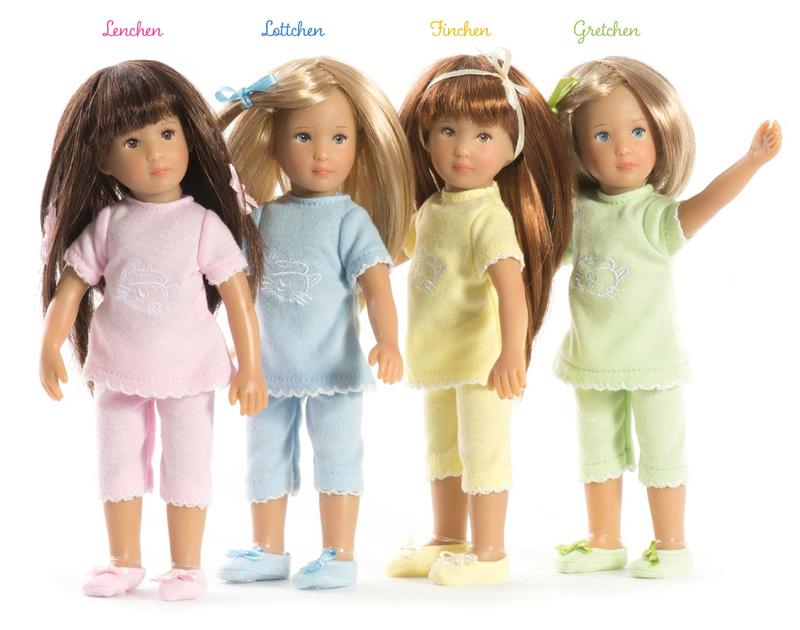 Most other small dolls have swivel limbs but these little girls are fully articulated. They are tiny and completely adorable. I just love their face sculpt! 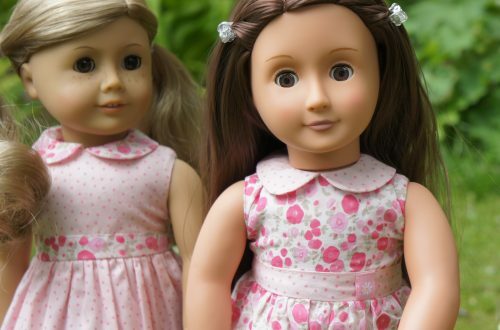 The minis are designed to be dolls for dolls, but as expected my 11 year old starting gushing about them which was lovely to see, as she isn’t showing quite so much interest in dolls now as she did (sob). She also rummaged excitedly through the outfits which she thinks are ‘so adorable’ and those teeny, tiny shoes are ‘too cute’! Mini Lenchen surrounded by her mini clothes! Then we opened up Julika, and my, she is a beauty! Her hair is a wonderful golden brown and is so amazingly silky. Kidz ‘n’ Cats have certainly found a top notch wig supplier this year! Julika’s hair, together with her blue eyes, look wonderful with her detailed outfit in shades of chocolate, aubergine and magenta. And then of course, she has the lovely new face mould, which I know is going to be really popular. Next to be opened was Robert. And Robert is every bit as good as his marketing photo if not better. His spiky ruffled hair is really effective, and his outfit is super cool too. A really love boy to add to the family I think! Finally, we opened Jennet. And she is divine. Her hair is shoulder length and equally as silky as Julika’s, and the detail of her outfit is amazing. She’s really lovely. I think Sonya has surpassed herself this year producing a beautiful new face, some amazing outfits and the minis of course. There are a couple of other changes to let you know about too. 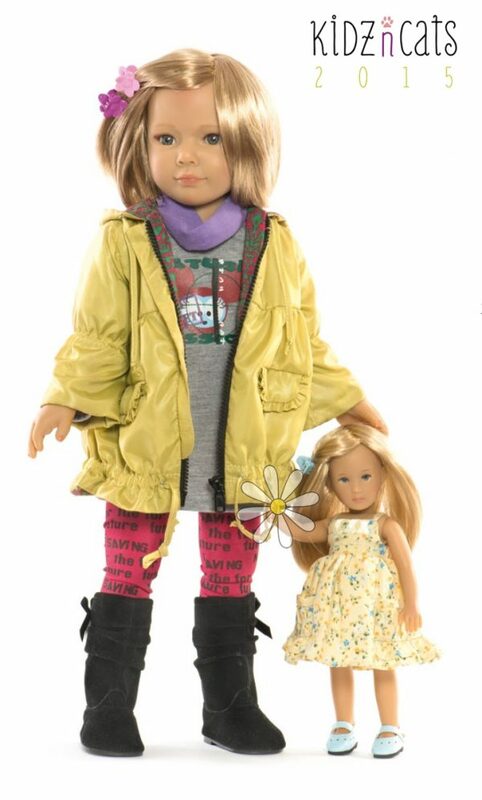 Firstly, Kidz ‘n’ Cats dolls are once again being produced in China. Sonja or Gesa will be spending time in the factory overseeing production of the doll bodies, and each and every doll is being checked in Germany before being sent to retailers. Seondly, Kidz ‘n’ Cats are now presented in a smaller box as the space is no longer needed for a cat. This means that the dolls will be more cost effective to ship around the world and there is less packaging waste.